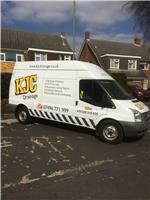 KJC Drainage - Drain/Sewer Clearance, Driveways/Patios/Paths, Pest/Vermin Control based in Gosport, Hampshire. KJC Drainage is a family run business based in Fareham which has been started by myself following 21 years working for drainage company's and within the drainage industry. I want to give customers an easy and most cost affective way to resolve any drainage issue. We offer free quotations and free advice and can offer a solution to rectify any drainage problem you may have. All work and repairs are carried out either by myself or under my supervision and after completion we give a guarantee which will stay with the property, so for any work being carried out on property's to be sold on the guarantee can be handed over. All calls will be dealt with by myself so you will not have to deal with call centres or secretaries that have no drainage knowledge, this will mean you will have an immediate answer to your queries and I can give an ETA which I will be able to keep to. Our services include all drain clearances / maintenance cleans / cctv surveys and full homebuyers drainage surveys / all drain repairs whether by way of excavation or lining / soakaway and surface water solutions / pest control and investigation. We also carry out ground works and landscaping such as driveways / paving and pathways and having industrial HP water jetting units in are vehicles can give competitive prices to cleaned hard surfaces to remove moss, dirt and algie build up leaving any surface with a fresh new look. All our work is completed to the highest standard and we are fully insured , our aim is customer satisfaction and I do my upmost to get the best possible feedback and recommendations. Working in Gosport , Fareham , Stubbington , Lee on Solent , Parkgate ,warsash , Portchester, Cosham , Farlington , Waterlooville , Cowplain , Horndean, Copnor , Portsmouth , Petersfield , Hayling Island , Chichester , Bognor Regis , Eastleigh , Southampton , Botley , Wickham, Bishops Waltham. Hampshire and West Sussex.